I’ve just got the copy edited manuscript for Blood and Iron from Macmillan and I’m busy working through it. It always amazes me the inconsistencies the copy editor picks up. The MS must have been read by at least six people by now, including me, and none of us noticed that I used the same word eight times on one page, or that one character knows another’s name even though they’ve never met before. The copy editor also queried the fact that I said the Stone Age came after the Iron Age. In fact everyone so far has pointed out this is the wrong way round. They’re right of course, but I state here, for the record, before the reviews come in, that on Penrose the robots learned to handle iron long before they learned to handle stone. In fact, for robots, the Iron Age means the time of the birth of the robots. Okay, I make it me 1, copy editor 552 and counting. Meet Morphobia Alligator, one of Sebastian Winnett’s inspired illustrations for Blood and Iron. Morphobia Alligator is built to a different, and much older, design than that adopted by the robots in Twisted Metal. Can a robot be capable of thought, creativity and emotion? Many people and religions would answer “no”, believing that some spirit or soul within us is responsible for our thoughts. This concept is known as Duality: the idea that the body and thoughts are two different things. However, in the past hundred years or so, work on computers and the study of such natural phenomena as Emergent Behaviour have led to the materialistic belief that the mind can be explained in terms of nuts and bolts and levers arranged in different patterns (or more accurately through an arrangement of cells and electrical impulses). Now, materialism has been a common theme in SF for the past few decades. One manifestation of this is the “mind running on a computer” idea. After all, if a mind is not some separate spirit or soul, and is instead just the result of physical interactions, then why can’t those interactions be modelled on a computer, pretty much the same way as the World is now modelled on Google Earth? I used this idea myself in my Recursion trilogy where minds hopped freely back and forth between processing spaces. But whilst writing Divergence, the last book in the series, I became aware of the following problem: once we accept the ideas of minds jumping back and forth between computers, we are almost back at the idea of “souls” jumping between physical containers. On an intellectual level we are thinking “Materialism”, but subconsciously we are back at Duality. So I decided to write a book that was unmistakeably materialistic. 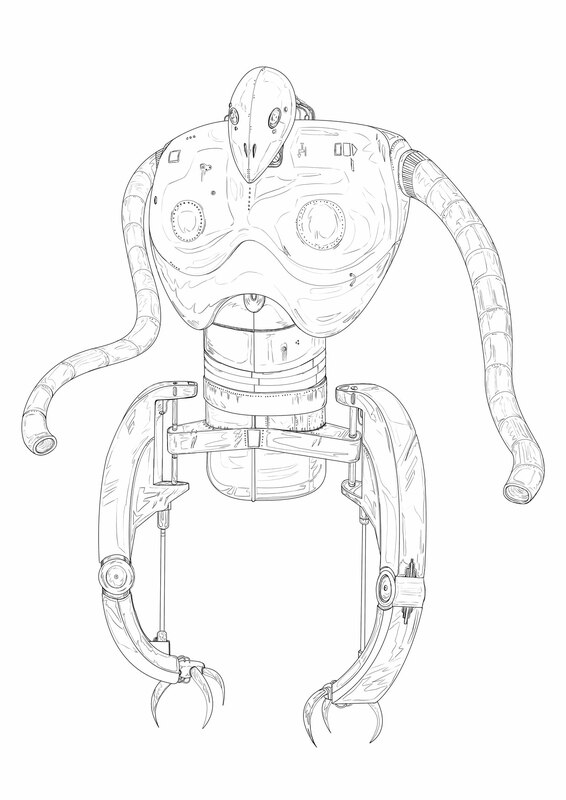 I came up with the idea of using robots, robots that would take a piece of wire and twist it into a new mind. These robots would seek out metal to make children, and, when resources were short, they would fight other robots for metal just as humans fight each other for land and food. I liked the idea, and the novel that eventually became Twisted Metal began to unfold. 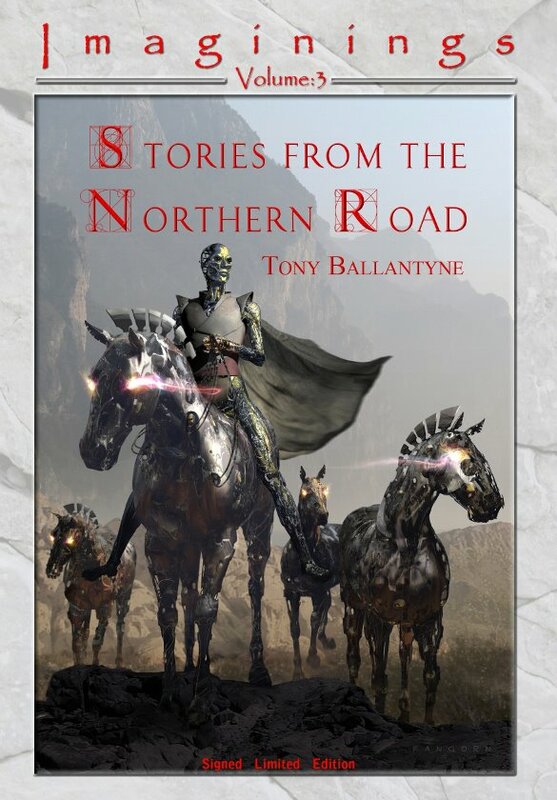 The novel deals with robots that are capable of thought, creativity and emotion, and of anger, hatred and irrationality, but each with a mind made up of nothing more than a piece of metal twisted into shape by his or her mother. This is logical, but it wouldn’t make a lot of sense to the reader at first glance as it doesn’t sound like the sort of thing a young woman could say. I could have put in an explanation (a common writers’ mistake, in my opinion), but that would have slowed down the action, and worse, taken the reader away from the scene and reminded them they were reading a book. I love a complicated plot, I love hard SF, but when it comes to the writing I always like to Keep It Simple, Stupid. Anyway, Blood and Iron is finished and should be with Macmillan now. You are currently browsing the archives for the Twisted Metal category.